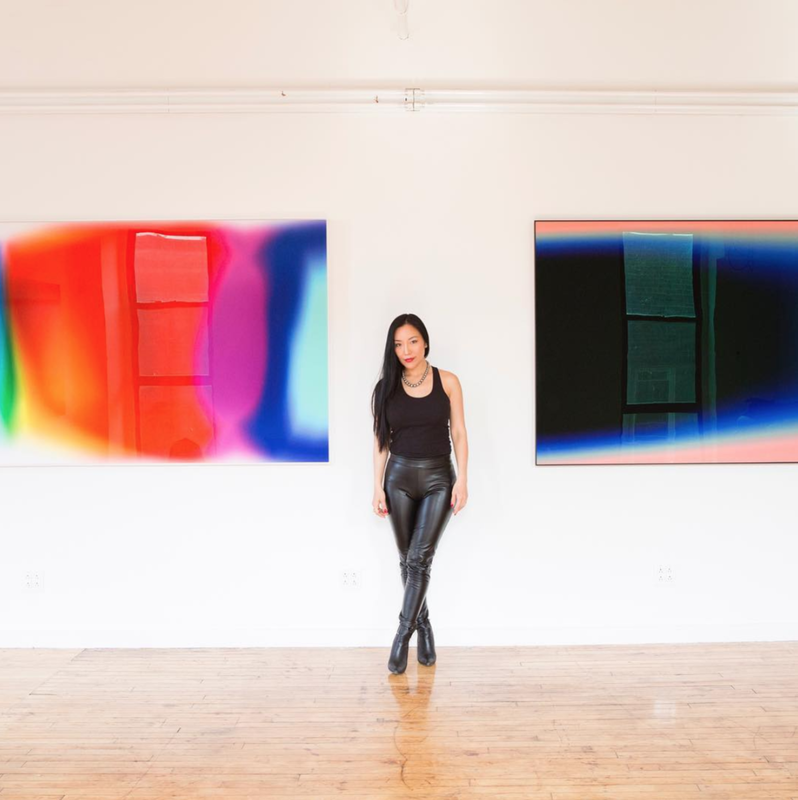 Following the success of her most recent collaboration with Lanvin for their FW18 ready-to-wear collection, Techism founder Krista Kim continues to break the mold of artist expression. In an era of 'digital disruption', where our self worth has become increasingly linked to our appearance on social media, her work aims to harness the power of technology and innovation to create a more empathetic and connected society. 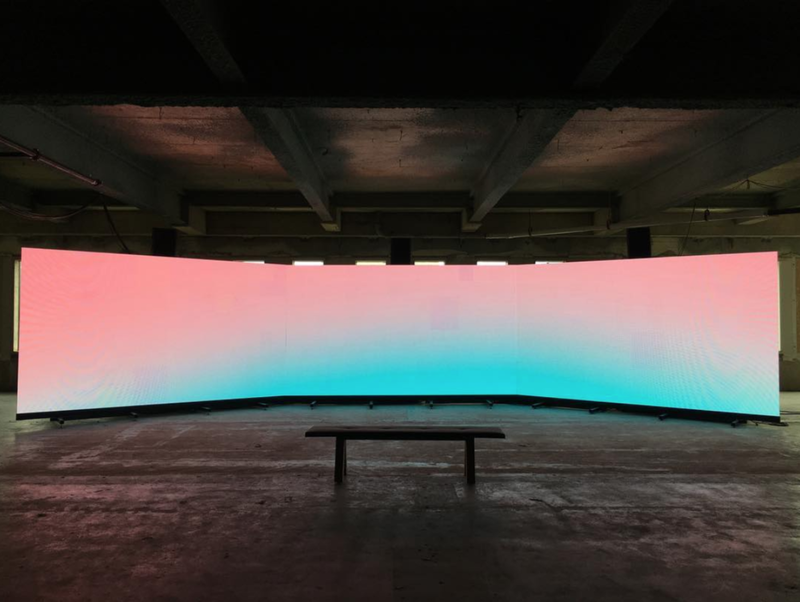 Basking in the glow of her algorithmic gradients and color fields, Kim asks her audience to consider the relationships we have with the technology and screens that so readily influence our everyday lives. 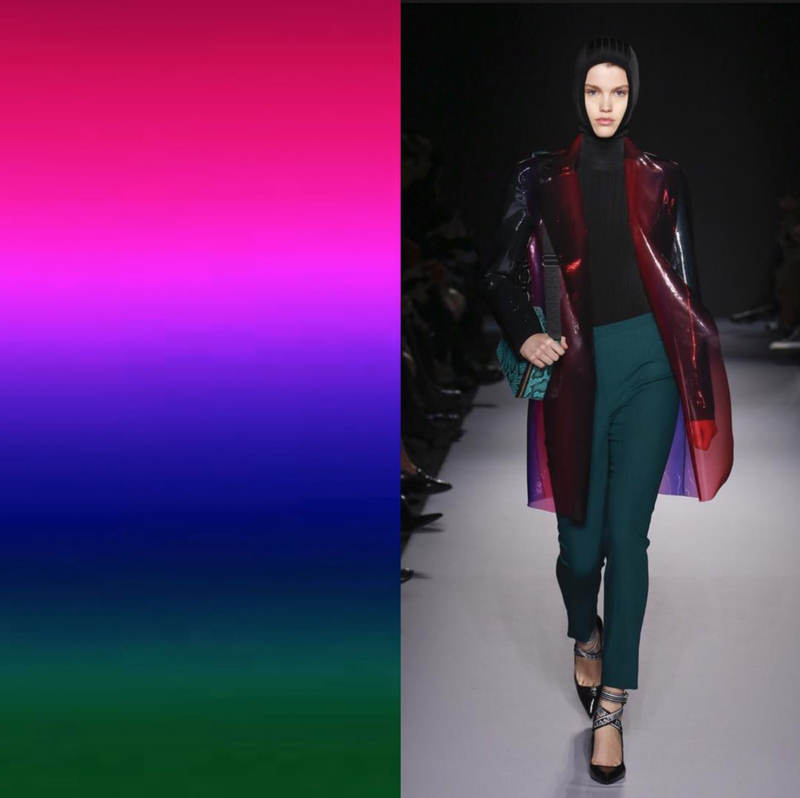 Your recent collaboration with Lanvin is absolutely amazing. How was it working with textiles in mind as opposed to your traditional works? What was the process like of selecting the works that inspired the pieces in the collection? The collaboration seemed like a very natural pairing of your work with garments - is fashion a direction we could expect to see more of in the future? What is it that drew you to working with light as a medium? digital and my artistic expression is in direct relation to this experience. In your manifesto, you mention that we are in a transitional phase in art history between classic forms of expression like painting and sculpting, and where we find ourselves today with new digital tools and resources. How do you see your work fitting into that space? tradition of artistic expression, into digital. of technological innovation through collaboration, dialogue and freedom of expression. frontier. The importance of Techism, and its influence on humanity is crucial, now. human consciousness on a level that will forever transform our world and human existence. Empathy, humanity and rational free-thought must thrive in our future. Krista Kim, No. 1004 v.72. What role do you see “the artist” playing while tech and innovation continue to progress, but so too does the negative impact that the same technology can have on culture? A lot of the ideas behind Techism and progressing our means of expression forward have to do with need for collaboration between artists and innovators. What do you think other aspects of the art industry, such as galleries and curators can do (or are doing) to also help facilitate that collaboration? because it is zeitgeist and an expression of digital humanity. Newer PostHypebeast Previews 'Suddenly Familiar' at Guy Hepner.